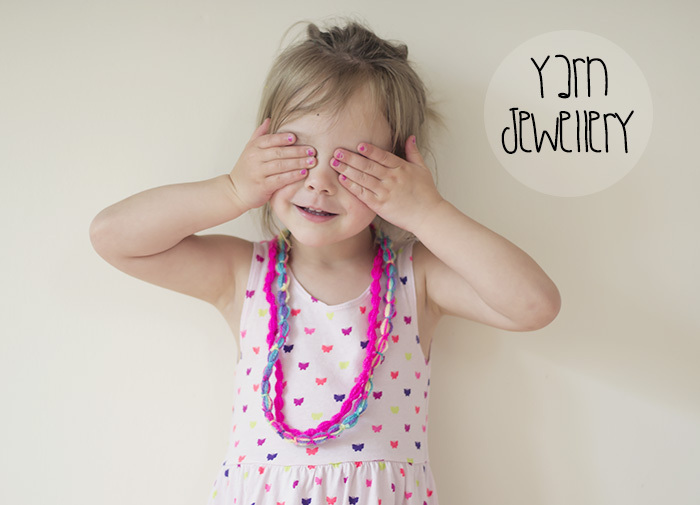 I’ve mentioned before about Cherry’s love of jewelry, she’s three and very much in the princess phase. I’m always looking for new ways to make it (so I don’t have to buy it! ), I actually woke up one morning after having a dream about making some like this so I decided to give it a try. It’s really simple, all I did was cut lots of lengths of yarn and laid them all out on the table. 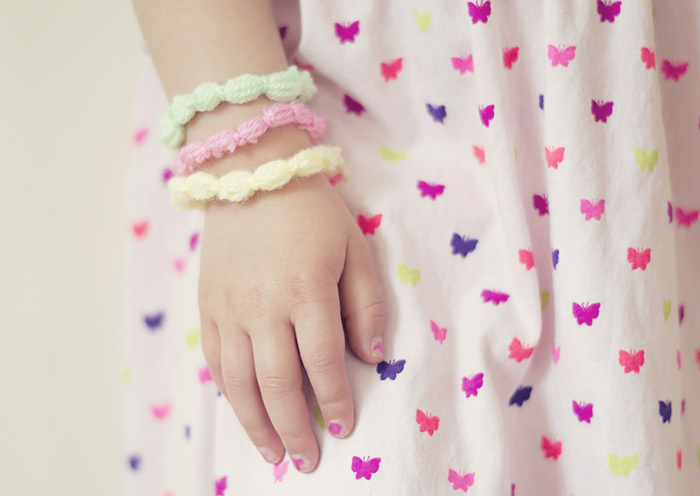 Then cut little pieces of yarn and tied them around the lengths. I left about 1/2 a cm between each one and as I tied the yarn it made it look like a string of beads. 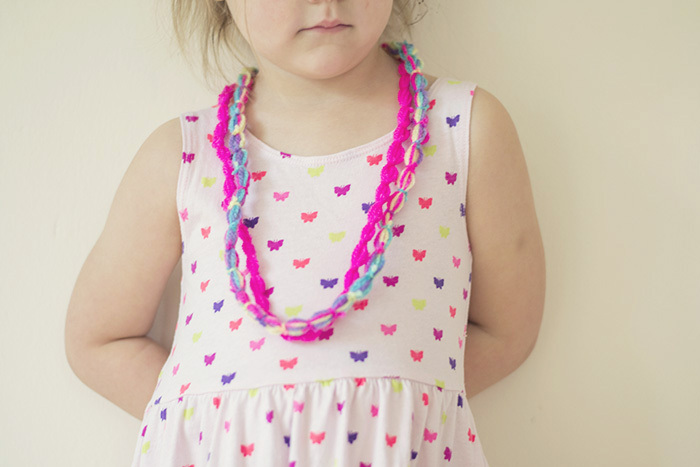 This would be a great craft for teaching children how to tie knots, my little girl is a bit young so I had to do it for her but it won’t be long before she can make her own yarn jewelry. It’s so easy to make and you could try so many different color combinations.